OSToto Driver Talent (formerly called Driver Talent) is a professional Windows drivers download and update utility, which is specially designed for you to directly and quickly download and install the best-matched drivers for computer hardware and devices. It can instantly find all driver problems on your computer, such as the drivers that are outdated, missing, corrupted, damaged, broken, or incompatible, and then download & install the correct drivers. Thus is significantly helpful to keep your computer and devices from conflicts and issues and make them work in top condition. You can also try Driver Talent to backup drivers, restore drivers from backup, uninstall drivers without residual files, and do more. It works on all Windows versions and any computers with any age. OSToto Driver Talent is the easiest and best solution for Windows OS based devices personal users. The easy to use interface and powerful functions make it the most popular and reliable Windows drivers download and update utility. Your computer is not working properly? Want to download drivers to install properly? You can try OSToto Driver Talent, which is a professional Windows drivers download and update utility. It helps you to quickly detect all drivers and find out the outdated, corrupted, damaged, missing, and incompatible drivers, download and install the best-matched drivers to fix the driver-related issues. You can also get the latest Windows drivers, backup drivers, restore drivers from backup, uninstall drivers without residual files, etc. What Can OSToto Driver Talent Do for You? 1.Check what causes problems on your computer, and find the outdated, missing, corrupted, or incompatible drivers. 2.Download and install the best-matched and stable drivers to fix driver problems. 3.Update to the latest drivers. 4.Backup drivers in your local computer. 5.Restore drivers from backup to make computer hardware and devices work properly. 6.Uninstall drivers without residual files on your computer. 7.Offer a clear overview of your computer hardware profile and allow you to export the profile. 8.Keep your computer in top condition. Have a safe scan on your computer to check all driver issues. List all driver status, including the ones that need to be repaired, updated, reinstalled, etc. Fix driver issues by downloading and installing the best-matched drivers. Offers the latest driver versions for you to update to. Download and install drivers for peripheral devices (UBS connected devices). 3 times faster download speed and one-click solution. Backup drivers in your local computer. Driver Talent offers a very clear overview of your computer hardware profile and allows you to export the profile. Support driver downloads and updates for all computer hardware and USB devices. Work for all brands of computer, including Dell, Aspire, Samsung, Acer, Asus, HP, Sony, Lenovo, Toshiba or more. 100% compatible with all Windows OS, including Windows 10, Windows 8.1, Windows 8, Windows 7, Windows XP and Windows Vista. OSToto Driver Talent (formerly called Driver Talent) is a professional Windows drivers download and update utility. It can instantly find all driver issues and then fix them by downloading and installing the best-matched drivers. You can use Driver Talent to download, update, repair, backup, restore and uninstall Windows drivers for computer hardware and devices, including wireless network, network card, display card, motherboard, Bluetooth, media card, Audio card, USB WLAN card, etc. After that, you will have a well-performing computer and won't have any problems on computer drivers. Since we’ve dedicated the user guide in the page How to Use Driver Talent, you can refer to it for more detailed steps on how to use this utility. Below are the Frequently Asked Questions and Answers of OSToto Driver Talent. 1. Do I always need the latest drivers? The answer depends for different users. For those who want a stable computer performance, the stable drivers recommended in Driver Talent Stable driver mode is enough. For gamers, photography processing fans and others who are pursuing latest features and improvements of new drivers, the latest drivers are their must. To satisfy different needs, Driver Talent provides you with 2 driver modes: Stable driver and Latest driver. 2. What is different from Stable driver mode and Latest driver mode? Stable driver mode: In this mode, Driver Talent will download and install the most stable drivers. The most stable drivers are the ones that have the least problems among users' computers. Latest driver mode: In this mode, Driver Talent will download and install the newest drivers. The newest drivers are the ones that are released in the latest. 3. Is Driver Talent safe? Yes, we guarantee the 100% safety of Driver Talent. Driver Talent contains the coding which allows you to scan and update drivers from the driver database but not allows to cheat user privacy, personal files. It is safe and free from any kind of malware and crapware. It won't come with any bundled unwanted software, extensions, extra toolbars which will change your web browser's home page, original settings and cause other problems. As one of the best driver updater programs, Driver Talent provides you with a clean driver updating with no ads and no fuss! 4. Is Driver Talent free? Currently, it is free. However, the free period is limited! We offer a free activation of Driver Talent Pro before the period expired. Please remember: Users who got the free activation code and keep Driver Talent installed on their computers will enjoy a lifetime free Driver Talent. That is, if you activated Driver Talent before we charge for it, and keep it installed on your computer, then you will be free of charge forever. On the contrary, if you start using Driver Talent after the free period is expired, you have to pay for the full version of Driver Talent (also called Driver Talent Pro). Note: We always offer Driver Talent Free version which has limited features. 5. What extra features can I get from Driver Talent Pro? 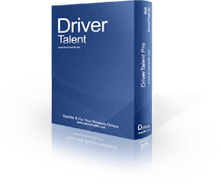 Driver Talent Pro provides you with a one-click automatic driver download and installation, while in the Driver Talent Free, you have to do this one by one. Driver Talent Pro provides you with driver restore feature which will restore drivers from backup in case you have driver problems after improper driver update and installation. Driver Talent Pro provides you with a complete driver uninstall feature which will prevent most problems that are resulted from driver leftovers, corrupted files and files conflicts. Driver Talent Pro provides you with an extra mode: Latest driver mode where you can get the newest drivers download and installation. Driver Talent Pro allows you to add network printers. Moreover, it will automatically identify and install drivers for the printers. 6. Do you have a daily update database for the driver library? Absolutely yes. Supported by over 5,000,000+ hardware driver database, Driver Talent has been updating everyday from the manufactory resources in order to ensure your drivers up-to-date all the time and keep a good condition of your PC system! 7. Does Driver Talent support the new Windows 10? Yes. Driver Talent has most of the Windows 10 drivers. However, we can't exclude the cases where there is no special driver for Windows 10 for specific device, because there even isn't any Windows 10 driver released by manufactures. We will collect the Windows 10 drivers and add them to our database as soon as manufactures released them. Driver Talent is 100% compatible with Windows 8.1, Windows 8, Windows 7, Windows Vista and XP. 8. How to uninstall Driver Talent? You have 2 options to uninstall Driver Talent. Option 1: Find the uninstall.exe came with the installation files and run it to directly and completely uninstall Driver Talent. You can find the uninstall.exe from the installation directory. Right click the desktop icon of Driver Talent and choose "Open file location". Option 2: Click Start menu and search "Uninstall a program". Then find Driver Talent from this list and click it, choose Uninstall on the top. If you have installed a program manager which will help to uninstall and manage all programs on your computer, you can certainly uninstall Driver Talent from there. Note: You need to exit Driver Talent before uninstalling it. And if not necessary, you'd better keep it on your computer to get up-to-date drivers and repair driver problems which will ensure a perfect computer performance. 9. How to contact the support team? We are very glad to hear from you.